A poor stray dog got nailed by a car, and a Good Samaritan witnessed the terrible event. 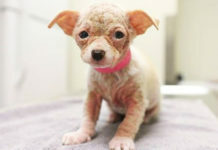 He realized there wasn’t anything he could do to save the poor pup, but he got an idea: as she drew her last breath, the Samaritan made her a promise…and he immediately moved to keep it! The man did what he could. One group of frightened puppies unfortunately, did not have the luxury of being with ther mother. Their mother had been involved in a car accident shortly after giving birth, causing her to slowly bleed to death without any medical help. This was when one horrified witness came to her aid. 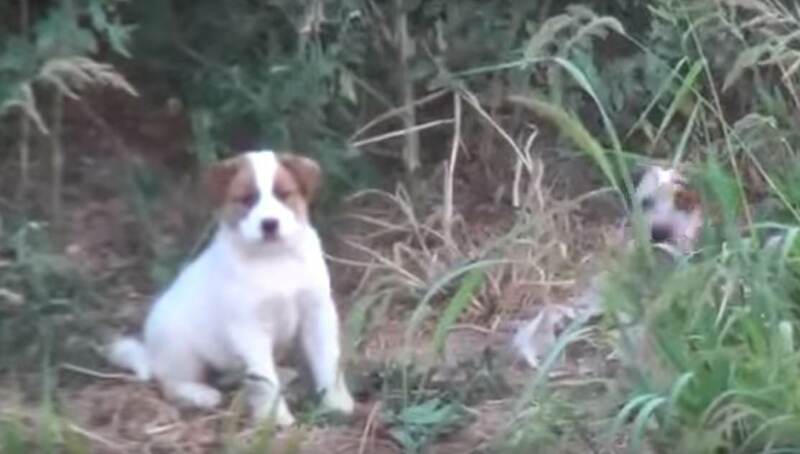 He had went out of his way to make sure that her puppies stood a fighting chance to survive.Before she passed, the man promised the dog that he would personally make sure that her puppies would live. 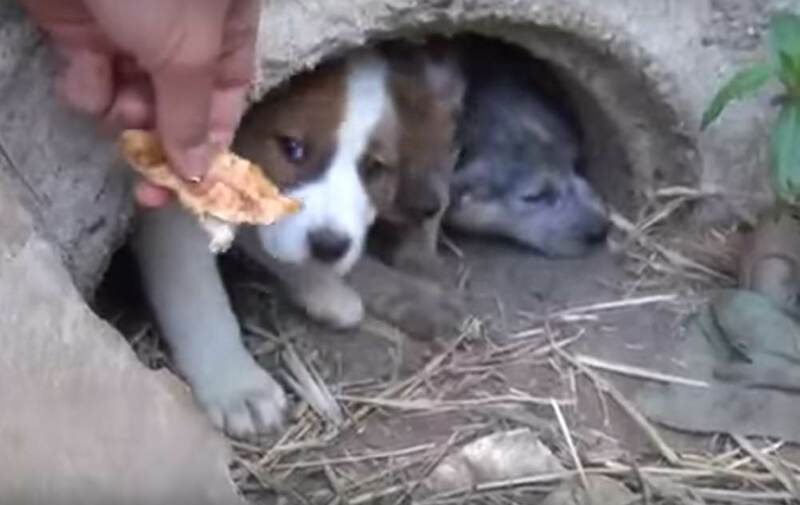 He rushed to provide the now orphaned pups some food and water, and made sure they stayed all sheltered and safe until he could figure out what to do with them. The puppies appeared to be extremely distressed upon losing their mother, and all of them hid an abandoned well for comfort. But the well could never be a permanent solution for them. Therefore, the man made the decision to enlist the help of local animal rescue, Hope for Paws. 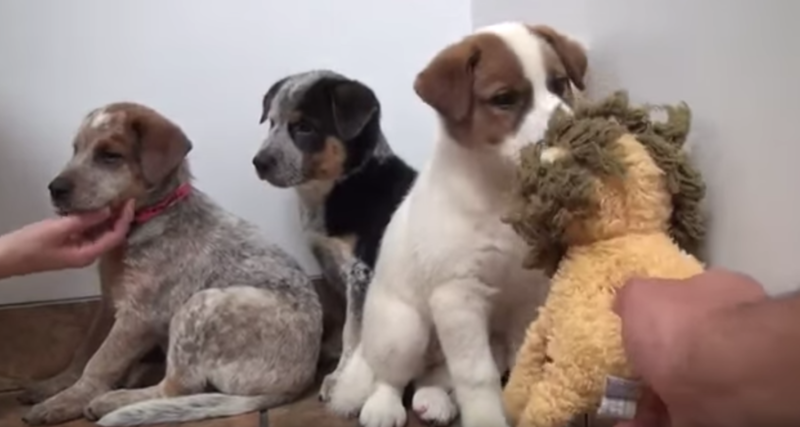 Eventually, their team had successfully coaxed all of the puppies out of the well, and on to a safer place. After all, the puppies could never live in a well, and they were desperately in need of a loving home. Thanks to the team at Hope For Paws, all three puppies were thoroughly cleaned up, vaccinated and soon settled in at headquarters. With a little bit of training and some paperwork, these pups would soon be heading to their forever loving homes – thanks to one man.